We seemed to have said too many goodbyes in the year we have just left behind; goodbyes to those who coloured the world, goodbyes to political certainty, and in Singapore, goodbyes- once again – to too many bits of what makes our city-state unique. The year we have just welcomed, brings the end for many of the places we have said goodbye to, either through their complete erasure or through alteration. Two, Rochor Centre and the Ellison Building, both of which are affected by the construction of the North-South expressway due to commence this year, have received more than a fair share of attention. The former will be completely demolished as it stands in the way of exit and entry points of the southern end of the expressway, while the latter, a conserved structure, will lose some of its original façade. While there is an intention to have its lost face rebuilt, the news was met with quite a fair bit of displeasure, prompting an effort to have the extent of the façade affected minimised. 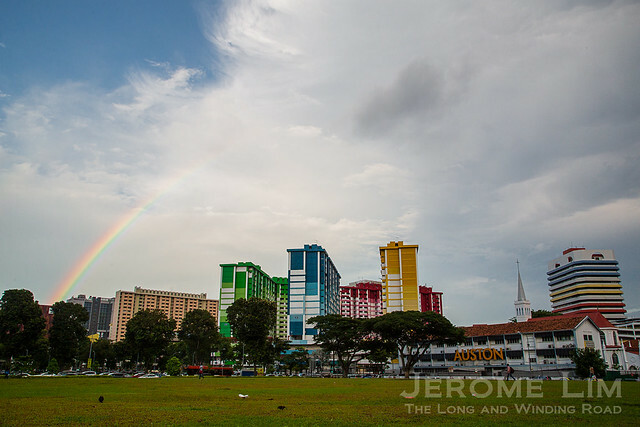 The “Rainbow Flats”, or Rochor Centre, will be demolished this year for the construction of the North-South expressway. The expressway will be built overground at its northern end. The impact this will have may not in the loss of buildings or parts of them, but the much altered vistas the parts the viaduct is being built over would have. One area in which this would be painfully obvious will be in Sembawang Road between Mandai Avenue and Khatib Camp. Taking a path through a landscape recalling a countryside we have largely discarded, the road and the pleasing vistas it has long provided, will surely be missed once the expressway is built. 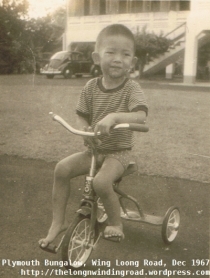 My acquaintance with the road goes back to the early 1970s when as a schoolboy, I would find myself bused down the road, to support my school’s football team playing in the north zone primary schools finals at Sembawang School. 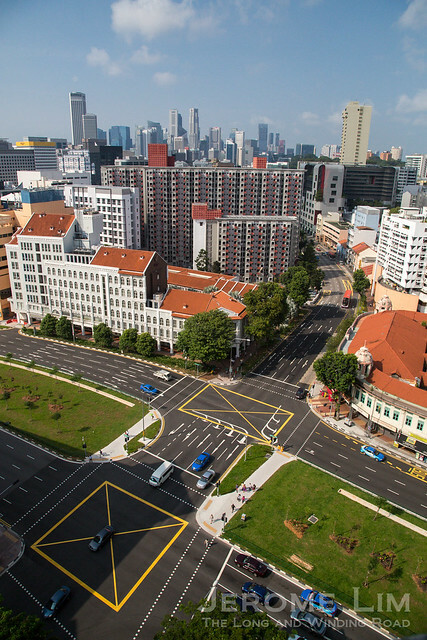 The road’s charm hasn’t changed very much since its more rural days, despite its subsequent widening and the building of Yishun New Town and Khatib Camp just down the road. 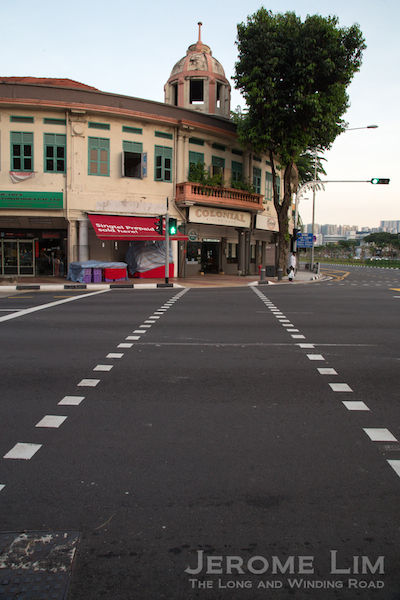 A beautiful stretch of Sembawang Road – near its 11th milestone, recalls a rural past. A viaduct for the North-South expressway, will give it a very different and a much more urban feel. 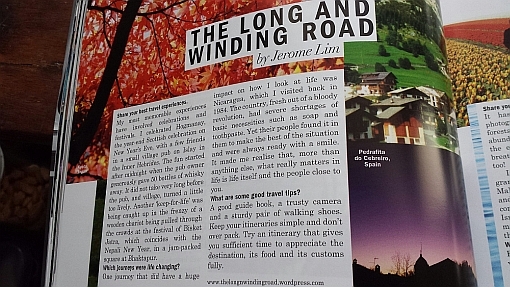 The road is set against a charming landscape that recalls its days as part of the huge Nee Soon plantation. The former plantation’s Assistant Manager’s residence – still stands prominently atop one of the areas’s high points. An area affected by the expressway that has already lost its charm is Toa Payoh Rise. I often enjoyed walks along the quiet and well shaded tree-lined road in more youthful days when the air of calm it provided was supplemented by the chorus of its tree lizards. The then much narrower road, an access point to Toa Payoh Hospital, has seen much of its magic taken away. Associated also with institutions for the visually handicapped, it has since been given a completely different feel with its upgrade into a main access path in and out of Toa Payoh and the building of a Circle Line MRT station, Caldecott. 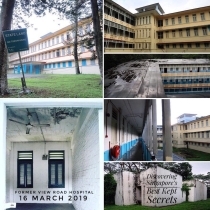 Several structures of the past can still be found such as the former Marymount Convent complex and four low-rise blocks of flats that served as quarters for hospital staff. The former convent buildings and two of the four blocks of flats are however set to disappear just so our world could be kept moving. Flats at Toa Payoh Rise – two will be demolished for the North-South expressway to be built. At the other end of Thomson Road, there are also two reminders of more youthful times that are also set to make a partial disappearance. Here, the expressway’s tunnel will burrow through soil once intended to provide eternal rest – that of the former New or Bukit Timah Cemetery – already disturbed by the exhumation of the cemetery in the 1970s. The tunnel will also swallow up several units from a delightful collection of old houses at Kampong Java and Halifax Roads. 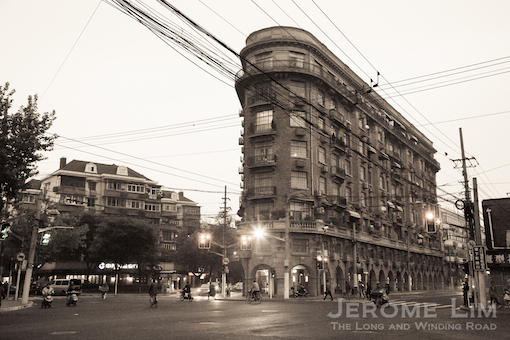 Built around the 1930s as municipal quarters, these are of two designs and have very much been a feature of the area. The area was where I attended kindergarten (at Cambridge Road) and also primary school (at Essex Road). While the demolition would involve a few units close to the side of the Central Expressway, it will have the impact of further reducing the area’s already eroded charm. Former municipal quarters at Kampong Java Road that will make way for the expressway. Former municipal quarters at Halifax Road, several of which will also fall victim to the North South expressway. Two other major road transport projects – involving the MRT – also adds to the destruction brought on by the need to keep our world moving. One, the final phase of the Circle Line, has seen part of the Singapore Polytechnic first campus demolished and the levelling of what had been left of the very historic Mount Palmer. Another big change the project will bring is to the former Tanjong Pagar Railway Station. The line will run under the former station with an MRT station, Cantonment, built under its platforms. This will see the well-loved National Monument closed to the public for a period of nine years during which time it will acquire an entirely different feel. One of the MRT station exits will bring commuters up to the former station’s platforms and into the former station building, which will by the time it reopens, may feature a mix of retail and food and beverage outlets. A last Christmas at Tanjong Pagar, before a lengthy closure during which it will be changed forever. Not everything however, is going due to the need to keep us mobile, as is the case for what is left of Old Kallang Airport Estate or Dakota Crescent – as it is now commonly referred to. The well-loved neighbourhood is a a last remnant of an estate built by the Singapore Improvement Trust (SIT) – the predecessor to the HDB, that features the first attempts at high-rise public housing blocks. Built at the end of the 1950s, parts of the estate has already been lost to redevelopment. The part of it that is still left features four block designs arranged around two spacious courtyards and a playground introduced in the 1970s. Some of the blocks were designed to also include units intended for commercial and artisanal use – a feature of the SIT estates of the era. A group is currently seeking to have parts of the estate, which offers an insight into the public housing programme of the pre-HDB era, conserved, supported by the Member of Parliament for the area. Will the estate and the last of the dove (playgrounds), like many of the SIT estates of the past, be discarded? 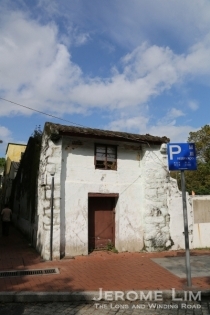 Tucked away in an obscure corner of Thomson Road and Thomson Lane is the Lee Ah Mooi Old Age Home, sitting on a site whose significance has long been forgotten. Operating in a cluster of single-storey blocks of a style reminiscent of schools of the 1950s, the layout of the home points to it having once been one of many built in the 1950s as part of an ambitious school building effort that we have all but forgotten about. 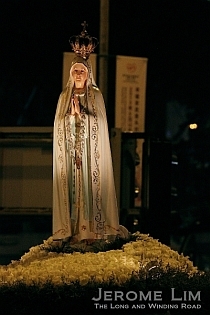 The former school’s name, Lee Kuo Chuan, also links to the late philanthropist and rubber magnate Mr.Lee Kong Chian, being the name of his father. The former school and its soon to be lost yard. The school construction programme was part of a ten-year education plan, known also as the “Neilson Plan” – attributed to Mr. John Barrie Neilson, a Director of Education with the aim of providing free universal primary education to all in Singapore within ten years. The plan was supplemented by a five-year plan to accelerate the effort to meet the pressing need to provide places in schools for the growing population of children. The latter plan was put in place by the the Mr. Neilson’s successor, Mr. A. W. Frisby. The implementation of the first plan saw the Teachers’ Training College, the predecessor to the National Institute of Education, established in 1950. All three acres of the land, on which the school was built – part of a former quarry, was donated by Mr. Lee Kong Chian as its name does suggest. Mr. Lee, who first came across from China with his father, a tailor, in the early 1900s, made generous generous donations to education and to the poor – an effort that is being continued by the Lee Foundation, which he founded. Among the projects Mr. Lee funded was the construction of the original National Library at Stamford Road for which he laid the foundation stone in August 1957. Mr. Lee donated a sum of $375,000 to that effort on the condition that the library charged no membership fees. Lee Kuo Chuan School in the 1950s (posted by Chong Meng on the Lee Kuo Chuan Primary School Facebook Group). Interestingly the school seems to have lent its name to Kuo Chuan Constituency, one of three new parliamentary constituency carved out of Toa Payoh Constituency for the 1972 General Election. The constituency, whose first elected MP was Mr. P. Selvadurai, and last Mr. Wong Kan Seng, was absorbed into Toa Payoh Group Representation Constituency in 1988. A classroom in the 1950s (posted by Chong Meng on the Lee Kuo Chuan Primary School Facebook Group). The school became Lee Kuo Chuan Primary School when it merged with Thomson Primary School in 1985 and moved it new premises at Ah Hood Road. As Lee Kuo Chuan Primary, it operated until the end of 1997 when it was shut down. 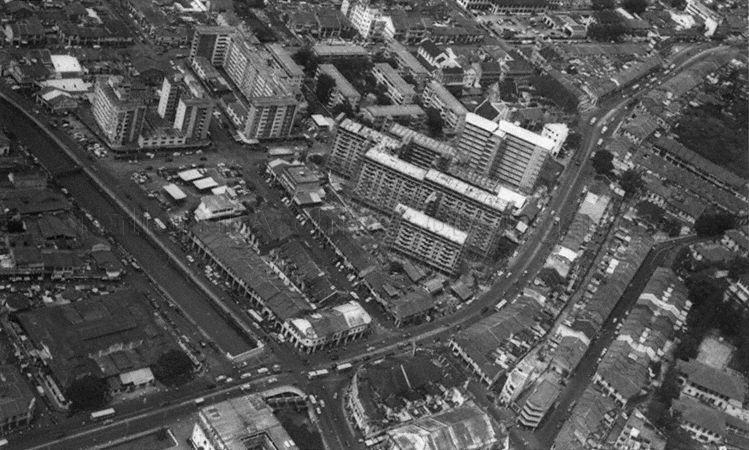 A view over the area in the early 1970s when Toa Payoh New Town was taking shape. The school can be seen in the lower left of the photo with Times Building then occupying the other part of the former quarry site. The home, started by a former nurse Madam Lee Ah Mooi in 1963 at her home in Chong Pang Village, does itself have a little story. 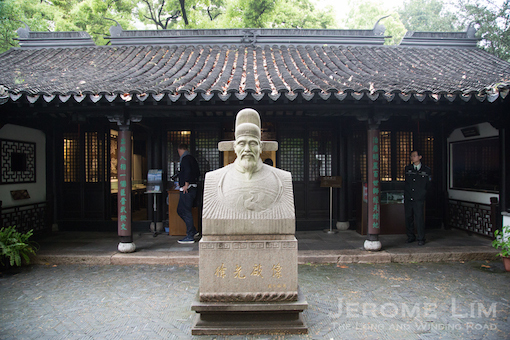 It was set up to provide care for former Samsui women and Amahs, many of whom were sworn to singlehood, in their old age. It occupied several sites before moving into its current premises in 1986. It has also been in the news as a possible victim of the North-South Expressway project. Based on updates provided on its Facebook Page, it does seem that the home will be able to remain in place until 2020, although its kitchen and laundry spaces and its front yard would be affected. 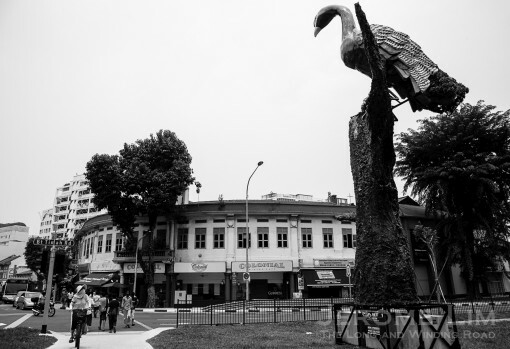 As if to foretell the end in a cycle of time for the Ellison Building, and the beginning of another, the mayura, a peacock – a mythological representation of the cycle of time, has made an appearance just across Bukit Timah Road from it. In the peacock’s view is the side the building whose time is at it end; an end that is being brought about by the intended construction of the North-South Expressway right under it. That a decision was taken to demolish a portion of a building that has been gazetted for conservation is hard to fathom. Protection through conservation, so it seems, counts for very little when the development of national infrastructure is a justification. Constraints of space due to what already exists underground has forced the authorities concerned to take this unfortunate decision. The section that will be demolished, which contains three units along Bukit Timah Road, will be reconstructed and reinstated to the building original design after the expressway is completed in 2026. The decision caught the public unawares, first coming to light on 7 August 2016. The Chinese language daily Lianhe Zaobao, in an article on the construction of the expressway, made mention that part of the building’s “façade” was to be demolished and reinstated. Further information was then provided by a Straits Times 18 August 2016 report and much shock and disappointment has been expressed [see: Rebuilding parts of heritage building not the answer (Letter to the Straits Times, 18 August 2016), the Singapore Heritage Society’s 18 August 2016 Statement on Ellison Building, and ICOMOS Singapore’s 2 September Statement on the Proposed Demolition and Reconstruction of Part of Ellison Building]. 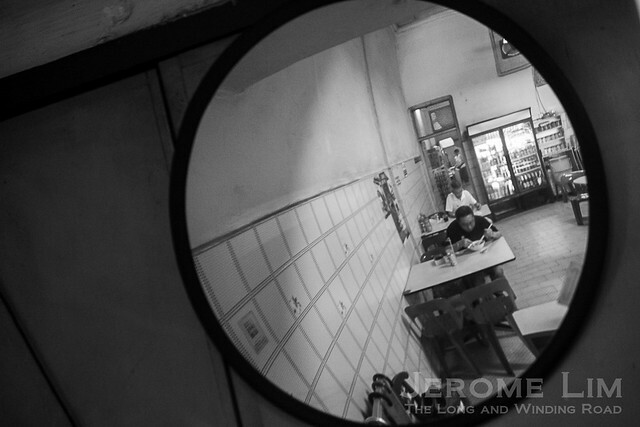 The old style Hup Chiang kopitiam at the Ellison Building, now occupied by a Teochew porridge restaurant. The news is also upsetting considering that the Ellison is one of the last survivors of the landmarks that once provided the area with its identity. Old Tekka Market, an focal point for many heading to the area in its day, has long since left us. Its replacement, housed at the bottom of a HDB built podium development built across the road from the old market, lacks the presence of the old – even if the complex towers over the area. The complex sits on the site of another missing landmark, the Kandang Kerbau Police Station. One still there but now well hidden from sight is the Rochor Canal. Flavoursome in more ways than one, the canal would often mentioned in the same breath as any reference that was made to the area. Looking a little worse for war and dwarfed by much of what now surrounds it, the Ellison building with its distinctive façade, still makes its presence felt. The Ellison Building as interpreted by the Urban Sketchers Singapore. 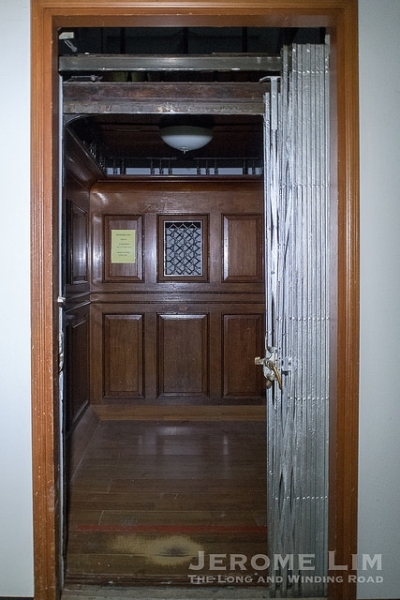 The Ellison building is one of three structures found in the area on which the Star of David proudly displayed, the others being the David Elias building and the Maghain Aboth synagogue at Waterloo Street. Placed between the 19 and 24 on its Selegie Road façade that gives the year of its completion, it tells of a time we have forgotten when the area was the Mahallah to the sizeable Arab speaking Baghdadi Jewish community. Described as having a feel of old Baghdad, the Mahallah was where the likes of Jacob Ballas and Harry Elias, just two of the communities many illustrious children, spend their early years in. Another link to its origins is an “I. Ellison” one finds over the entrance to No. 237 – one of the units that will be demolished. This serves to remind us of Isaac Ellison who had the building erected, apparently, for his wife Flora. The building seems also to have a long association with one of Singapore’s biggest obsessions, food. 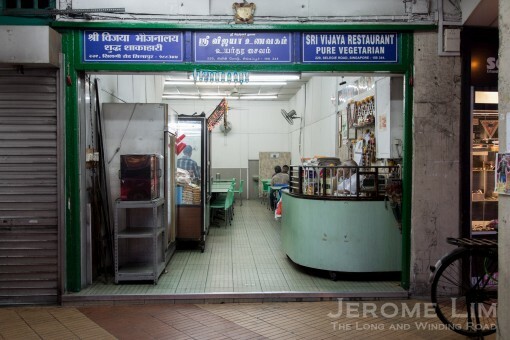 One food outlet that goes back as far as the building is Singapore’s oldest Indian Vegetarian restaurant, Ananda Bhavan (which still operates there). It was one of two vegetarian places that I remember seeing from my days passing the building on my daily rides home on the bus as a schoolboy. I would look out for the eye-catching displays of brightly coloured milk candy, neatly arranged on the shelves of wooden framed glass cabinets and also the restaurants’ old fashioned counters. Another sight that I never failed to notice was the mama shop along the five-foot-way and its stalk of bananas on display from which bananas would be plucked and purchased individually. A lost reminder of the past, an old fashioned Indian Vegetarian restaurant that has since been replaced by a popular nasi lemak shop. The units that housed the vegetarian restaurants are fortunately on the side along Selegie Road. This will not be affected by the expressway construction and is housed within a larger part of the building that is not being demolished. This is something that should perhaps be looked at positively as unlike the regretful loss of whole places and structures that we have become accustomed to – so that they can keep our world moving, the Ellison, because of it conservation status will not totally be lost. Previous instance of moving our world too far and too fast, and in a direction not everyone is comfortable with, we have bid farewell to well loved structures such as the people’s National Theatre, the much-loved National Library, and what probably counts as Singapore’s first purpose built hawker centre – the Esplanade Food Centre. We have also parted company in more recent times with places such as the remnants of the historic Mount Palmer and a part of the Singapore’s first polytechnic. Both were flattened earlier this year to allow the final phase of the Circle Line MRT to be completed. Another historic site, Bukit Brown cemetery, has also lost some of its inhabitants to a highway that is being built through it. 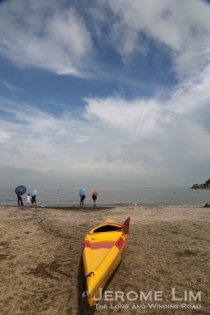 There is also the case of the proposed Cross Island Line’s proposed alignment that will take it under what should rightfully be an untouchable part of Singapore – the Central Catchment Nature. Of concern is the site investigation work that will be carried out and its potential for long term damage to the flora and fauna of the nature reserve. The regret of allowing places such as the National Library and National Theatre to pass into history is still felt. Whatever is intended for the Ellison is something we similarly will regret. Let us hope that the regret is not also one of setting a precedent in the resolution of conflicts to come between conservation and the need for development. Part of the Selegie Road face of Ellison Building, possibly in the 1980s (snowstorm snowflake on Panoramio). 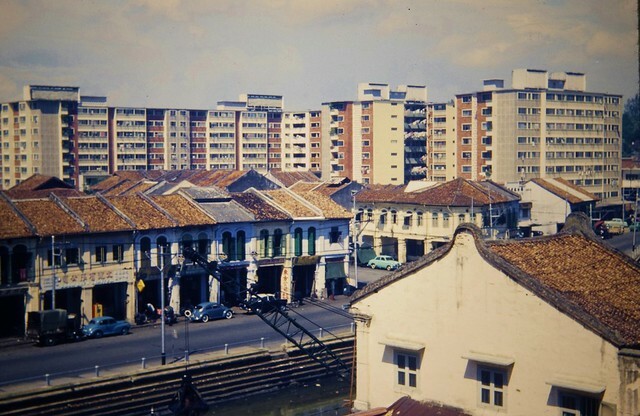 The Ellison Building, seen from across the then opened Rochor Canal in 1969 (Bill Strong on Flickr). Even if it is probably for the better, I shall miss seeing the now covered up Rochor Canal in my drives down the Tekka area. Buried under a temporary roadway deck for much of the period during which the Downtown MRT line was being constructed, it has already been all but forgotten and it was only the sight of the green grass that now grows on top of a permanent deck that has given me the realisation that I will never see the open canal at this stretch. A view over the now hidden canal. Never a pretty sight even after the river cleanup initiative launched in 1977 took away the smell that was the source of many a joke, the canal was however, one of the sights that broke the monotony of the long ride to school on the public bus. That always seemed much to take in around the area by the canal, particularly on its then stepped sides, including the sight of squatting people scrubbing their laundry. The once open Rochor Canal, seen at the meeting of Serangoon, Selegie, Sungei, Rochor Canal and Bukit Timah Roads (National Archives Photo). The deck of green grass is the latest addition to an area that already looks very different to the one I passed as a schoolboy. The transformation of the area, which has seen the likes of the familiar old Tekka market, Kandang Kerbau Police Station, and Stamford Estate go, as well as Kandang Kerbau Hospital move – its former premises now occupied by the Land Transport Authority, is however not complete. 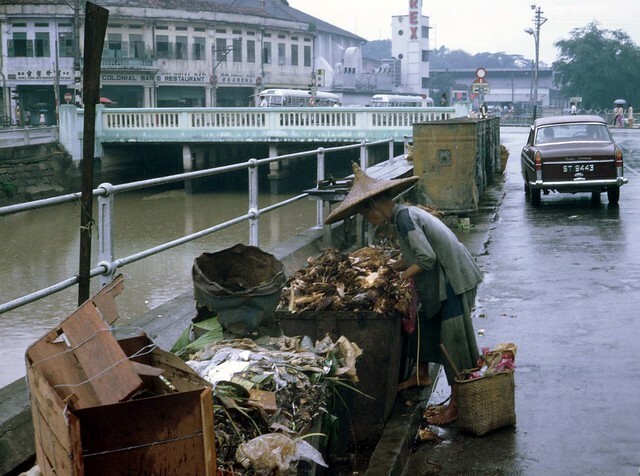 An online Straits Times photo of the canal with the old Tekka Market on the right. The canal with its stepped sides (Raymond Morris on Flickr). The SIT flats of Stamford Estate, Albert House and Rochor House can also be seen. In a city that never rests – from a construction viewpoint, the next upheaval planned for the area is already on the cards – the construction of the North-South Expressway (NSE). That will see the much loved Rochor Centre demolished. It does also seem that, from the a Zaobao article on 7 August 2016, the NSE’s construction will also see one of the more recognisable old structures in the area still standing – the Ellison Building affected. Part of the façade of the conserved building, built by Issac or Ike Ellison for his wife Flora in 1924, will apparently have to be removed and will have to be restored. The NSE is expected to be completed in 2026. The Ellison Building will have part of its façade removed and restored for the NSE construction. The open Rochor Canal at the Tekka area with the Ellison Building in the background c. 1969 (Bill Strong on Flickr). Together with several jalan-jalan kaki, I set off on a Sunday morning from Khatib MRT Station in search of a lost countryside. The area in which we sought to find that lost world, is one, that in more recent times has been known to us as Nee Soon and Ulu Sembawang. 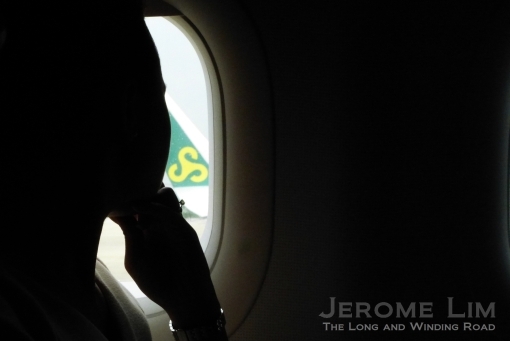 It was a part of Singapore that I first became acquainted with it in my childhood back in the early 1970s, when an area of rural settlements and village schools that were interspersed with poultry, pig and vegetable farms that awaited discovery along its many minor roads. It was also an area where the British military did leave much in terms of evidence of their former presence. The group at Jalan Ulu Sembawang in search of a lost countryside. Fed by the waters of several rivers that spilled out into the Straits of Johor or Selat Tebrau, which included Sungei Seletar and its tributaries, Sungei Khatib Bongsu, Sungei Simpang and its tributaries and Sungei Sembawang, the area was to first attract gambier and pepper plantations in the mid 1800 with which came the first settlements. 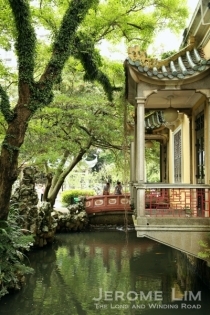 As with other plantation rich riverine areas of Singapore, the area attracted many Teochew immigrants, becoming one of several Teochew heartlands found across rural Singapore. 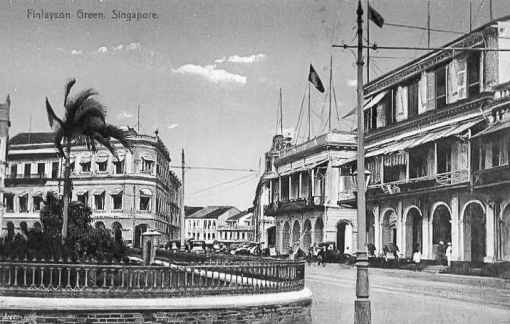 Pineapple and rubber were to replace gambier and pepper in the 1900s – when the association with the likes of Bukit Sembawang and Lim Nee Soon, names which are now synonymous with the area, was to start. Walking through a reminder of the lost countryside at Bah Soon Pah Road. Much has changed since the days of Chan Ah Lak’s gambier and pepper plantations – for which the area was originally known as Chan Chu Kang, the days of Lim Nee Soon’s pineapple and rubber cultivation and processing exploits, and even from the days when I made my first visits to the area. There are however, parts of it that in which some semblance of the countryside that did once exist can be found, parts where one can quite easily find that much needed escape from the concrete and overly manicured world that now dominates the island. 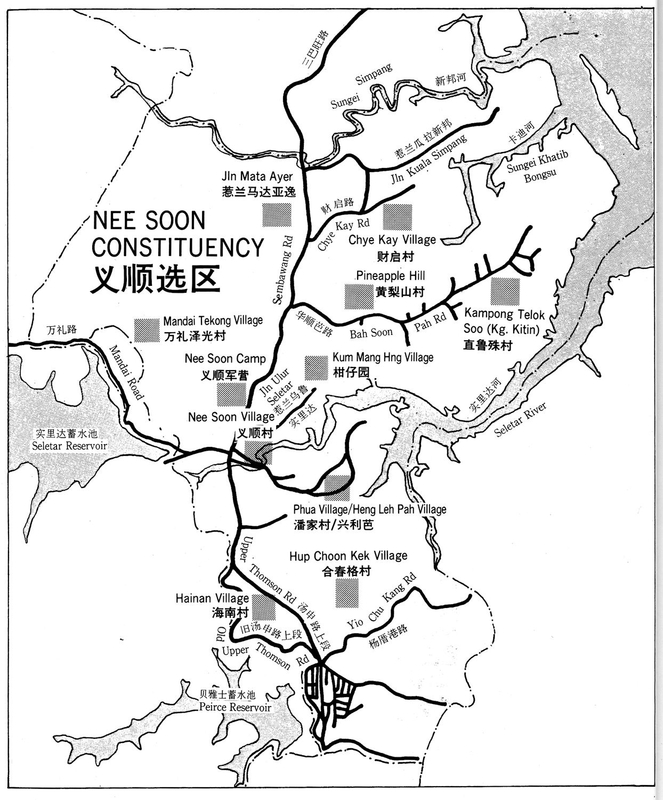 A map of the area showing the location of villages in the area in 1980s (scanned from A pictorial history of Nee Soon Community, 1987)”. One of two places where those reminders can be found is the area around Bah Soon Pah Road. The road, strange as it may seem, is in fact named after Lim Nee Soon – Bah Soon having been a nickname stemming from him being a Straits Born Chinese or “Baba”. These days, the truncated Bah Soon Pah Road, is still an area that is very much associated with agriculture, being an area that is at the heart of the Agri-food and Veterinary Authority’s (AVA) efforts to promote agrotechnology in Singapore. Playing host to the Nee Soon Agrotechnology Park, there are several farms to be found along the road, including one in which hydroponic vegetables for the local market are cultivated. 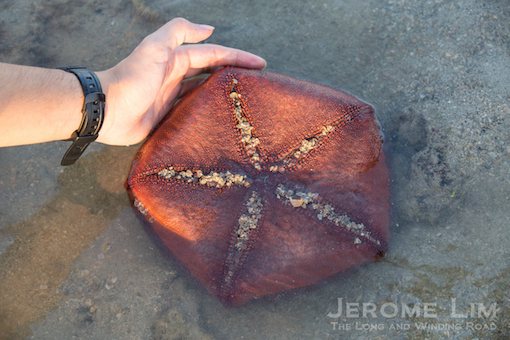 Over the fence – a link with the area’s heritage. An interesting sight along Bah Soon Pah Road is the building that now houses the AVA’s Horticulture Services Centre. The building – a huge bungalow built on stilts, in a style that resembles the “black and white” houses that the British built to house their administrators and senior military men and their families, probably built in the early 1900s with the arrival of the pineapple and rubber plantations, is in fact a physical link to Lim Nee Soon’s association with the area. Sitting atop a small hill – you do get a magnificent view of it from a distance from Yishun Avenue 1, the grand bungalow was I have been advised, a former residence of the assistant manager of Lim Nee Soon’s plantation, thus providing a link to a past that might otherwise have been forgotten. The AVA’s Horticulture Services Centre at Bah Soon Pah Road occupies a bungalow that served as the Assistant Plantation Manager’s residence in Lim Nee Soon’s estate. From the west end of Bah Soon Pah Road, we turned north at Sembawang Road – once named Seletar Road. 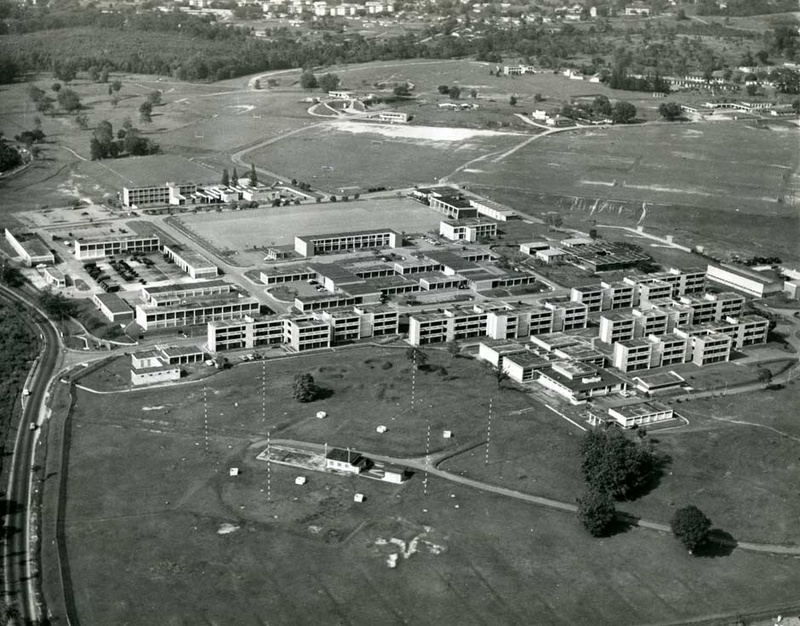 While Seletar today is the area where the former Seletar Airbase, now Seletar Aerospace Park is, Seletar did once refer to a large swathe of land in the north in, particularly so in the days before the airbase was built. 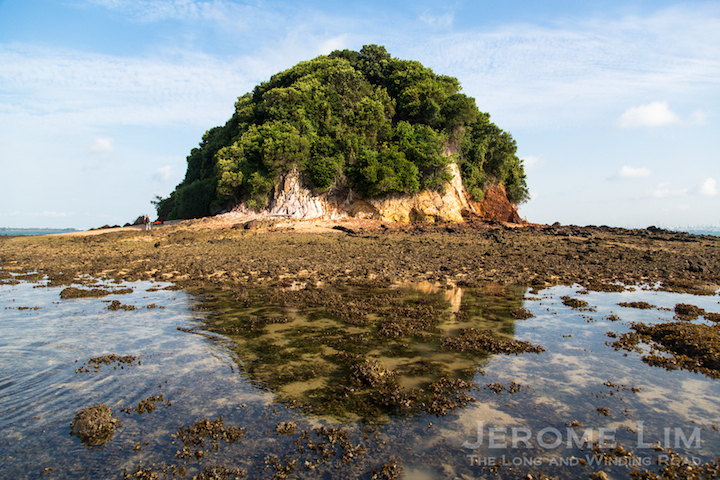 The name Seletar is associated the Orang Seletar who inhabited the Straits of Johor, Selat Tebrau, a group of the sea dwellers around the coast and river mouths of northern Singapore and southern Johor from the days before Raffles staked the East India Company’s claim to Singapore. Seletar is a word that is thought to have been derived from the Malay word for strait or selat. Seletar Road, which would have brought travellers on the road to the Naval Base, and to Seletar Pier right at its end, was renamed Sembawang Road in 1939 so as to avoid confusion to road users headed to Seletar Airbase (then RAF Seletar) which lay well to its east. The road to the former residence. The drive down Sembawang Road, up to perhaps the early 1980s, was one that did take you through some wonderful countryside we no longer see anymore. One of my first and memorable trips down the road was in a bus filled with my schoolmates – which turned out to be annual affair whilst I was in primary school. The destination was Sembawang School off Jalan Mata Ayer. where we would be bused to, to support the school’s football team when they played in the finals of the North Zone Primary Schools competition. An old postcard of Lim Nee Soon’s rubber factory further south, and the surrounding area. 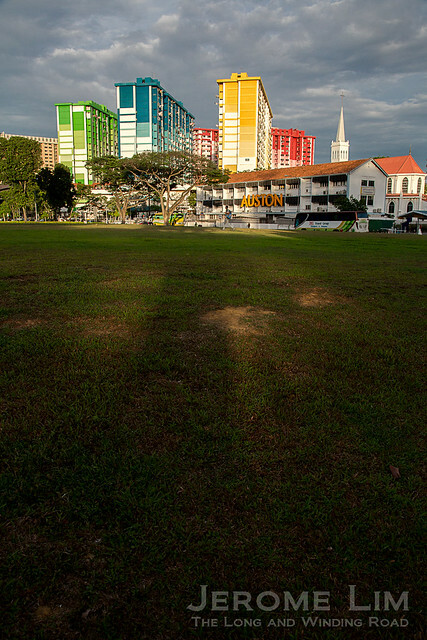 The school, the site of which is now occupied by a condominium Euphony Gardens, would be remembered for its single storey buildings – commonly seen in Singapore’s rural areas, as it would be for its football field. The field did somehow seem to have been laid on an incline, a suspicion that was to be confirmed by the difficulty the referee had in placing the ball and preventing it from rolling, when for a penalty kick was awarded during one of the matches. Sembawang Road at its junction with Jalan Mata Ayer. The walk from Bah Soon Pah Road to Jalan Mata Ayer, did take us past two military camps. One, Khatib Camp as we know it today, is a more recent addition to the landscape. It would probably be of interest to some, that the original Khatib Camp was one used by the Malaysian military, housing the Tentera Laut Di-Raja Malaysia (TLMD) or Royal Malaysian Navy (RMN) training school KD Pelandok from 1971 to 1980 and was known as Kem Khatib. The Malaysian association with it started in 1964 when it was first set up to house a Malaysian infantry battalion. This came at a time when Singapore was a part of Malaysia. RMN officers in training at KD Pelandok in Singapore in the 1970s (photograph online at http://farm1.staticflickr.com/167/439314471_c932143651_o.jpg). 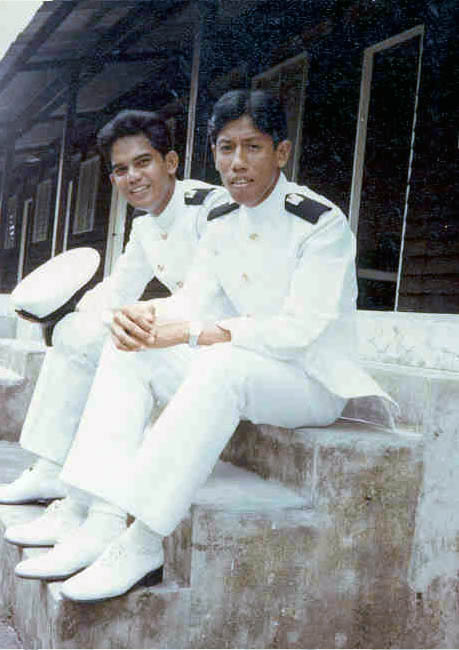 Apparently KD Pelandok was where the RMN, who in fact maintained their main base at Woodlands in Singapore until 1979, first carried out their own training of naval officers. Prior to this, naval officers had been sent to the UK to be trained. The camp was returned to Singapore on 2 February 1982, after the training school was shifted to the RMN’s main naval base in Lumut. A new Khatib Camp, now the home of the SAF’s Artillery, was built on the site and the Singapore Armed Forces (SAF) moved into it in 1983. Sembawang Road looking north from its junction with Bah Soon Pah Road. Khatib Camp is just up the road with Dieppe Barracks across from it. The landscape will very soon change once the construction of an elevated portion of the North-South Expressway starts. A LTA map of the area showing the North-South Expressway viaduct and an entrance ramp in the vicinity of Khatib Camp. Construction is expected to start next year. One of the things I remember about the new Khatib Camp in its early days was this helmet shaped roof of its sentry post. Khatib Camp in its early days also housed the SAF Boys School, which later became the SAF Education Centre (SAFEC). The school provided a scheme in which ‘N’-level certificate holders could continue their education fully paid to allow them to complete their ‘O’-levels, after which students would be have to serve a six-year bond out with the SAF. In more recent time, Khatib Camp has been made into one of the centres where NSmen (reservists) would take their annual fitness tests, the IPPT. It is also where the dreaded Remedial Training (RT) programmes are conducted for those who fail to pass the IPPT. A southward view – there is still perhaps a feel of the countryside there once was in the area. Across from Khatib Camp, is Dieppe Barracks. Built originally to house British military units, it is now used by the SAF’s HQ Guards, and is one the last former British army camps to retain the word “barracks” in its name – a reminder of its association with the British forces, and also the New Zealand forces. It housed the 1st Battalion of the Royal New Zealand Infantry Regiment from 1971 to 1989 leaving a distinctly New Zealand flavour on the area as well as in the areas of Sembawang up north. This was as part of the protection force first under the ANZUK arrangements that followed the British pullout in 1971. With the Australian forces pulling out in the mid 1970s, the New Zealanders stayed on as the New Zealand Force South East Asia (NZ Force SEA). One of the things that was hard not to miss on the grounds of the barracks was how different the obstacle course in the open field in the north of the barrack grounds looked from those we did see in the SAF camps then. Dieppe Barracks when it housed British units in the 1960s (online at http://www.nmbva.co.uk/keith%2012.jpg). The entrance to Dieppe Barracks seen in the 1980s when it was used by 1 RNZIR with the fence that I so remember (online at http://anzmilitarybratsofsingapore.com/group/gallery/1_20_01_09_5_21_11.jpg). Just north of Dieppe is where Jalan Mata Ayer can be found (where the school with the inclined football field was). The name “Mata Ayer” is apparently a reference to the source of the now quite well-known Sembawang Hot Springs. The once rural road led to a village called Kampong Mata Ayer, also known as Kampong Ayer Panas, close to the area where the hot spring, now within the boundaries of Chong Pang Camp, is. Dieppe Barracks in 1975 (image online at http://www.nzhistory.net.nz/media/photo/new-zealand-defence-force-headquarters-singapore, Ministry for Culture and Heritage, updated 31-Jan-2014). Continuing north along the road, there are several clusters of shophouses across the road from where Yishun New Town has come up. Several shops here do in fact have their origins in the villages of the area. 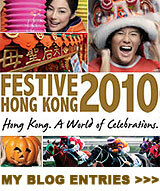 One well known business is a traditional Teochew bakery, Gin Thye Cake Maker. 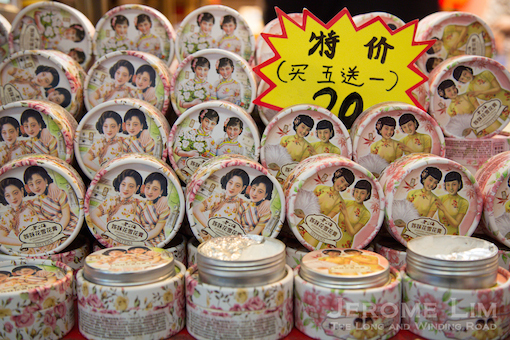 Specialising in Teochew pastries, the bakery goes back to 1964 when Mdm. 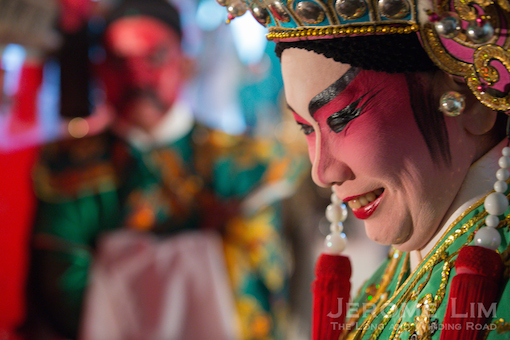 Ang Siew Geck started it in her village home at Bah Soon Pah Road. Described by The Straits Times as the Last of the Teochew bakeries, its biscuits are a popular choice amongst its customers. 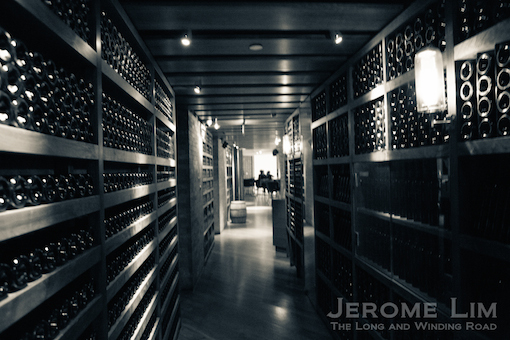 You would also be able to spot traditional wedding baskets lined up at the top of one of the shelves. The baskets are used by the bakery to deliver traditional sweets – as might have once been the case, for weddings. Traditional biscuits right out of the oven at Gin Thai Cake Maker. Not far up from the shophouses, we come to the area where a relatively new Chong Pang Camp is. The camp sits on what once was a very picturesque part of Singapore, Ulu Sembawang. What was visible of the area from Sembawang Road were the fishing ponds and the lush greenery that lay beyond them. The greenery did obscure an area that did lie beyond it, that was particularly rich in bird life and was up to the 1990s, a popular area for birding activities. It was an area that we did once get a wonderful view of from Jalan Ulu Sembawang, a road that rose up from close to the back of the then Seletaris bottling plant at its junction with Sembawang Road towards another rural area of villages and farms. The view, from a stretch of the road that ran along a ridge, was what my father did describe as being the most scenic in Singapore that looked across a rolling landscape of vegetable farms for almost as far as the eye could see. 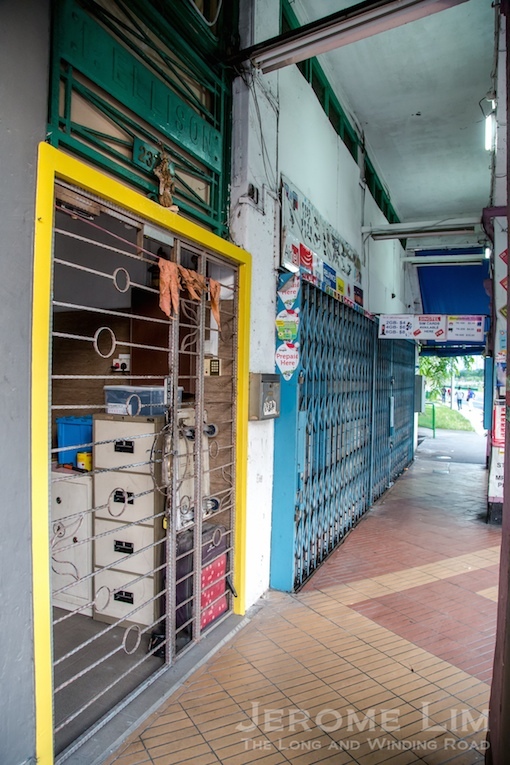 Jalan Ulu Sembawang was also one of the roads that led to Lorong Gambas in the Mandai area – an area many who did National Service would remember it as a training area that was used up to perhaps the 1990s. The end of the road – Jalan Ulu Sembawang used to continue into the Mandai area toward Lorong Gambas. The rolling hills landscape at Ulu Sembawang in 1993 (photograph: From the Lee Kip Lin Collection. All rights reserved. Lee Kip Lin and National Library Board, Singapore 2009). A stop along the way that we did spend some time at was the hot springs, around which there seems now to be much superstition. 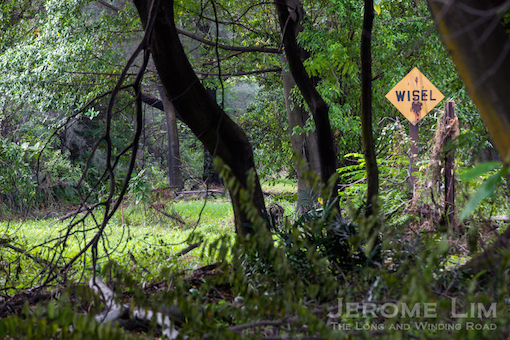 The spring, which was discovered by a municipal ranger on the property of a Seah Eng Keong in 1908. Seah Eng Keong was the son of gambier and pepper plantation owner Mr Seah Eu Chin who I understand from Claire Leow, one half of the female duo who maintains All Things Bukit Brown and who joined us on the walk, also owned gambier and pepper plantations in the area. Seah Eu Chin would also be well known as being the founder of the Ngee Ann Kongsi. The surviving well of the spring. The spring water was over the years, bottled in various ways and under various names, first by Mr Seah, and then by Fraser and Neave (F&N) from 1921. One of the names its was bottled as was Zombun which was, on the evidence of a newspaper article, a source of a joke – with waiters referring to “Air Zombun” as a similar sounding “Air Jamban” or water from the toilet in Malay. Collecting water at the hot springs. The caretaker splashing himself with water right out of the tap. Bottling was to be disrupted by the war – the Japanese, known for their fondness for thermal baths, were said to have built such baths at the hot springs – the water, which flows out at around 66 degrees Celcius, with its strong sulphur content (which is evident from the unmistakable smell you would be able to get of it), is thought to have curative properties – especially for skin and rheumatic conditions. It’s flow was disrupted by allied bombing in November 1944 and it was only in 1967 that F&N started re-bottling the water under a subsidiary Semangat Ayer Limited using the brand name Seletaris (now the name of a condominium that sits on the site of the plant). Now flowing out of pipes and taps, the water comes out at about 66 degrees Celcius. The hot spring attracts many to it in search of cures for skin ailments and rheumatic conditions. While it did remain the property of F&N, many were known to have bathed at the spring before 1967 and also again after the plant was closed in the mid 1980s, when its land was acquired by the government. The spring – with water now running out of pipes and taps, in now within the boundaries of Chong Pang Camp – which initially meant that it was closed to the public. 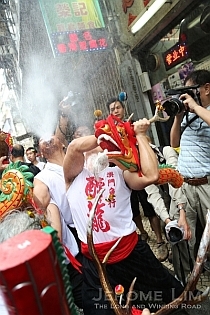 Since May 2002 however, after petitions were submitted to the authorities, the spring has been opened to the public. Access to the spring is now through a fenced pathway that cuts into the camp’s grounds. A warning is scribbled on the red brick structure that surrounds a surviving well that speaks of a curse – that anyone who vandalises the hot spring will be the subject of a curse. 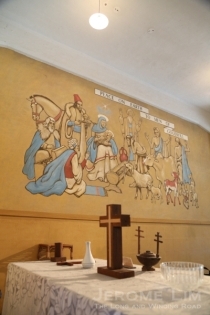 The writing on the wall – a curse for any would be vandals. From the spring and Jalan Ulu Sembawang, now a stub that leads to a wooded area where development doesn’t seem very far away – an international school is already being built there, we can to the end of the adventure. While it is sad to see how another place in Singapore which holds the memories of the gentle world I once enjoyed as a child has been transformed into another place I struggle to connect with; I did at least manage to find a few things that does, in some way remind of that old world that I miss. Developments in the area are however taking off at a furious pace and with the construction of elevated portion of the North-South Expressway that is due to start next year and will have a significant impact on the area’s landscape; it may not be long before it does become another place of beauty that we have abandoned in favour of a cold and overly manicured landscape in which there will be little left, except for “heritage” markers, to remind us of what it did once mean to us. 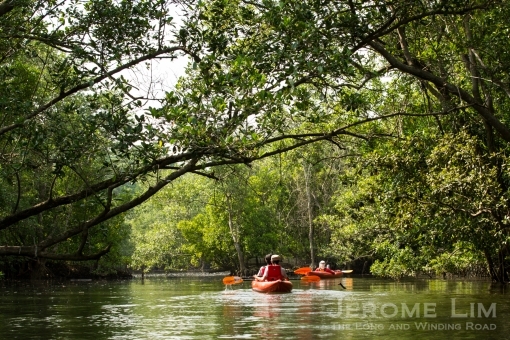 Jalan Ulu Sembawang is now is an area reclaimed by nature awaiting future development. Where a school is now being built – the condominium in the background is the Seletaris.